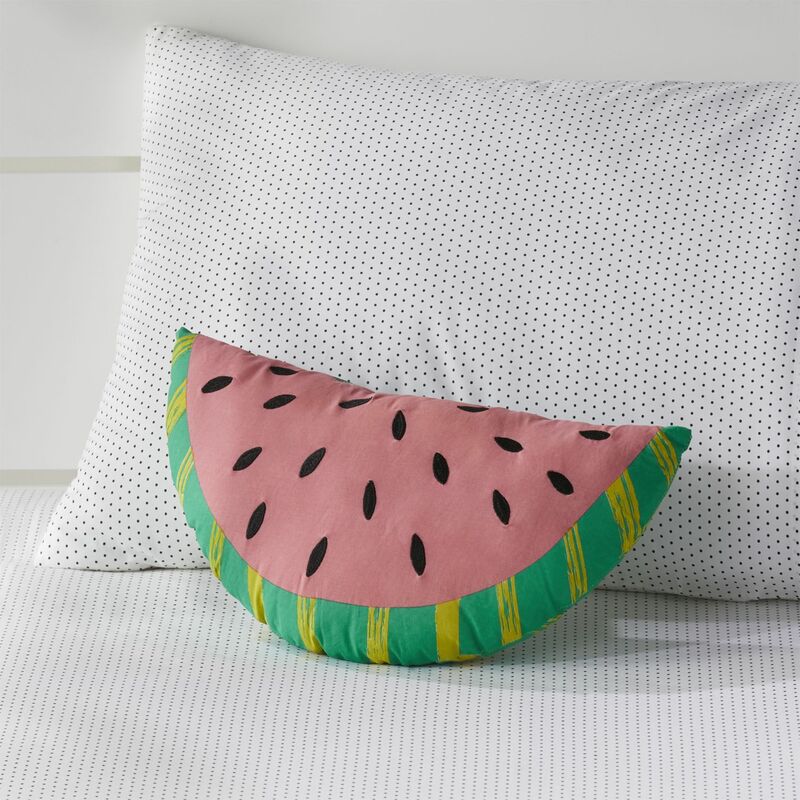 When it comes to summer style, fruit is always in season! 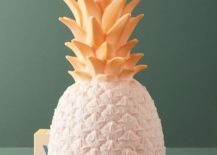 Thanks to a new wave of vibrant fruit motifs and creative designs from some of our favorite bloggers, produce such as watermelon, citrus and pineapples are perfectly on trend. 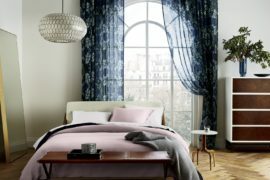 Whether you’re looking for color that will knock your socks off or you’re hoping to add a neutral dose of produce to your interior, continue reading for a slew of gorgeous photos and interesting design picks. 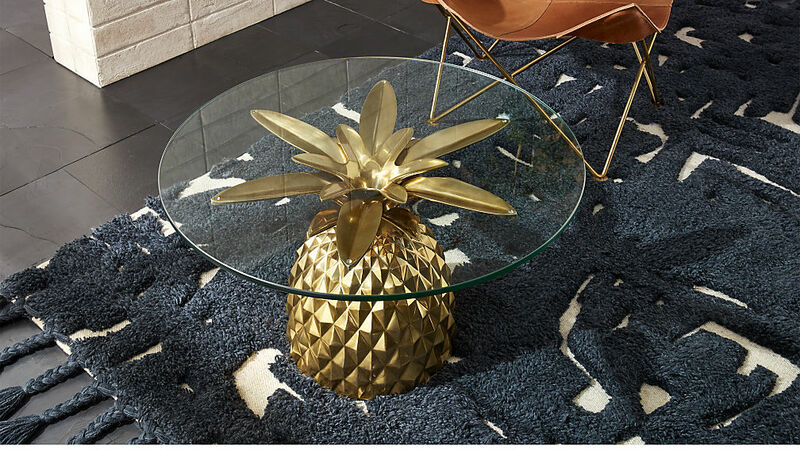 From furniture to party goods, you won’t be disappointed! 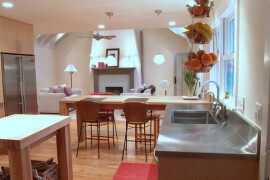 Let’s start by showcasing a few bright, beautiful, bold accents that have the power to make your space. 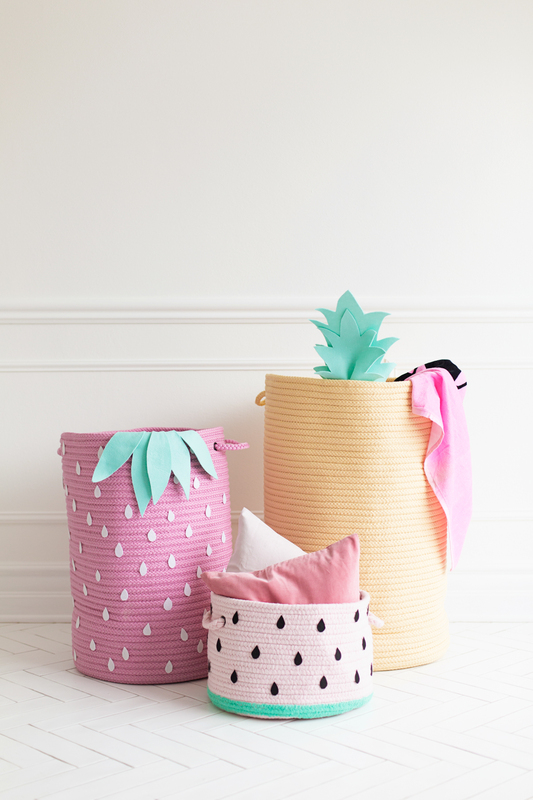 Studio DIY recently shared this amazing Fruit-Inspired Storage Basket project, which is perfect for kids’ rooms. 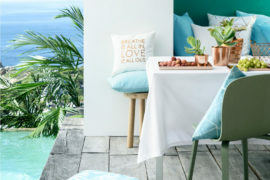 Easy, fun and summer-perfect! 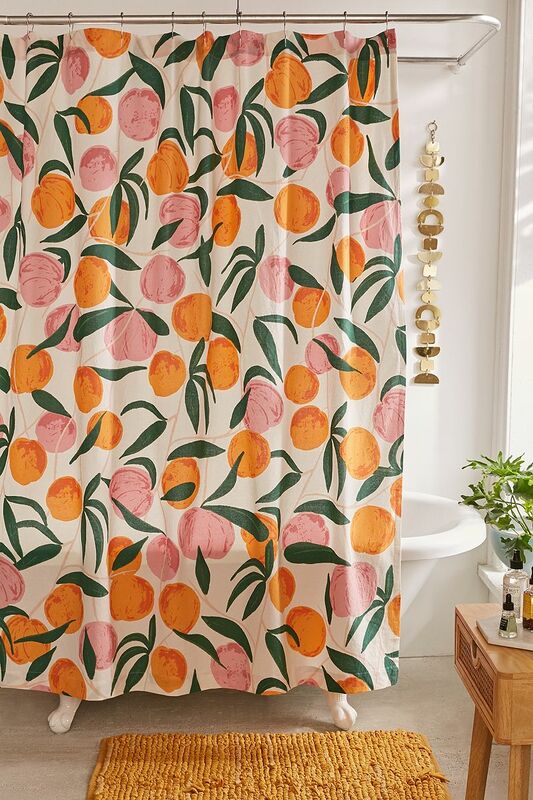 This Allover Fruits Shower Curtain from Urban Outfitters is will bring a big dose of refreshing retro style to your powder room. 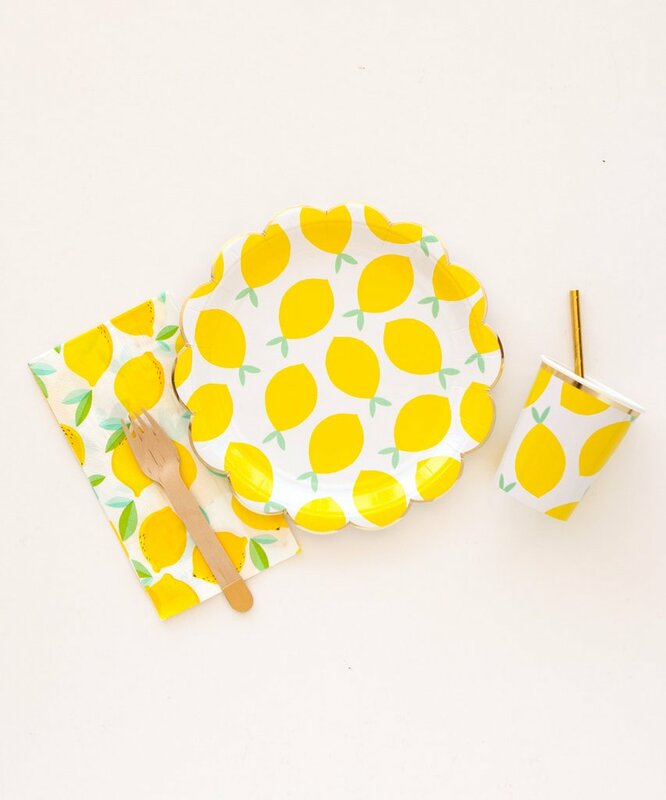 Also available in yellow for you lemon lovers! 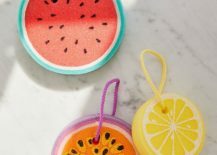 Don’t be fooled by their name: these Sunnylife Fruit Salad Sponges are for the bath, not the kitchen! 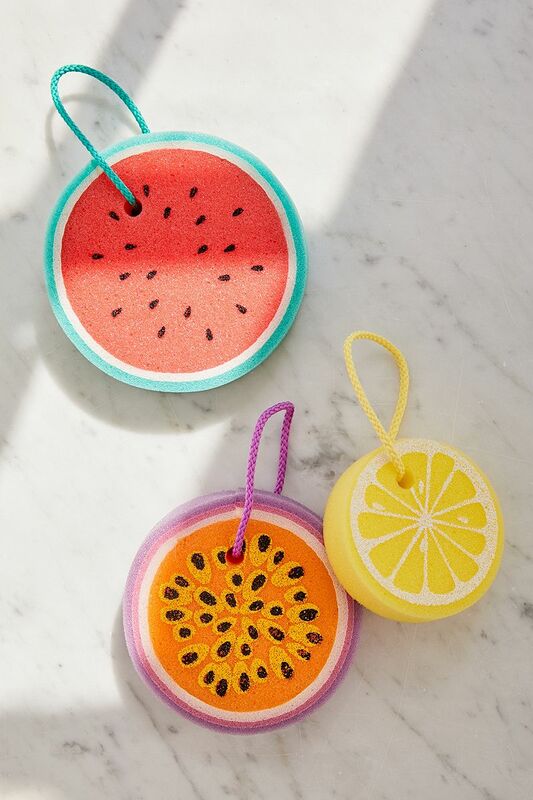 Add some fun to your shower with these colorful accessories that look good enough to eat. 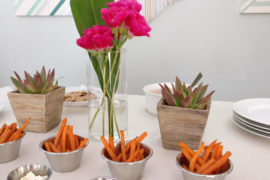 When it comes to fresh and fruity accents, no detail is too small. 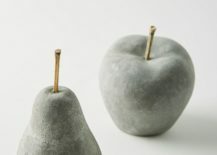 Enliven your work space with these push pins from Typo. 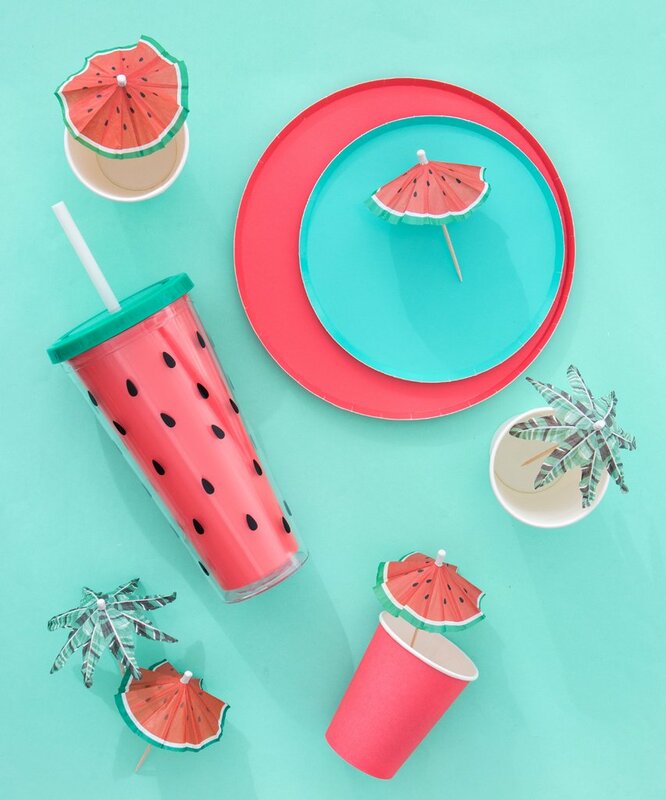 Silicone shapes and fun hues take center stage. 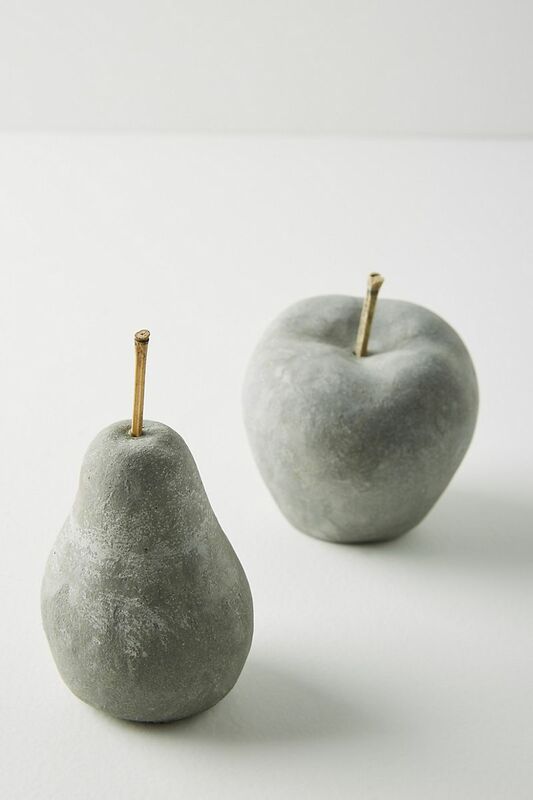 Sold in a pack of 9. 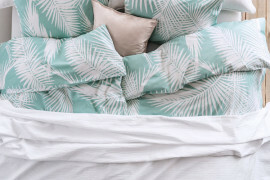 There’s nothing like a tropical welcome! 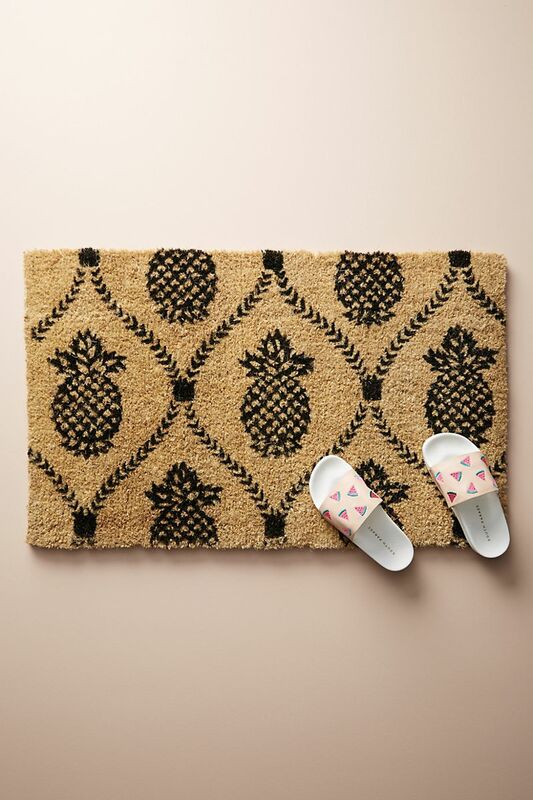 This Pineapple Doormat from Anthropologie exudes summer style. 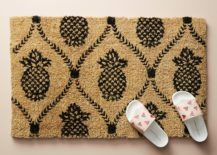 With a look that’s both classic and totally on trend, the mat’s pineapple motif will put a spring in your step each time you open the front door. 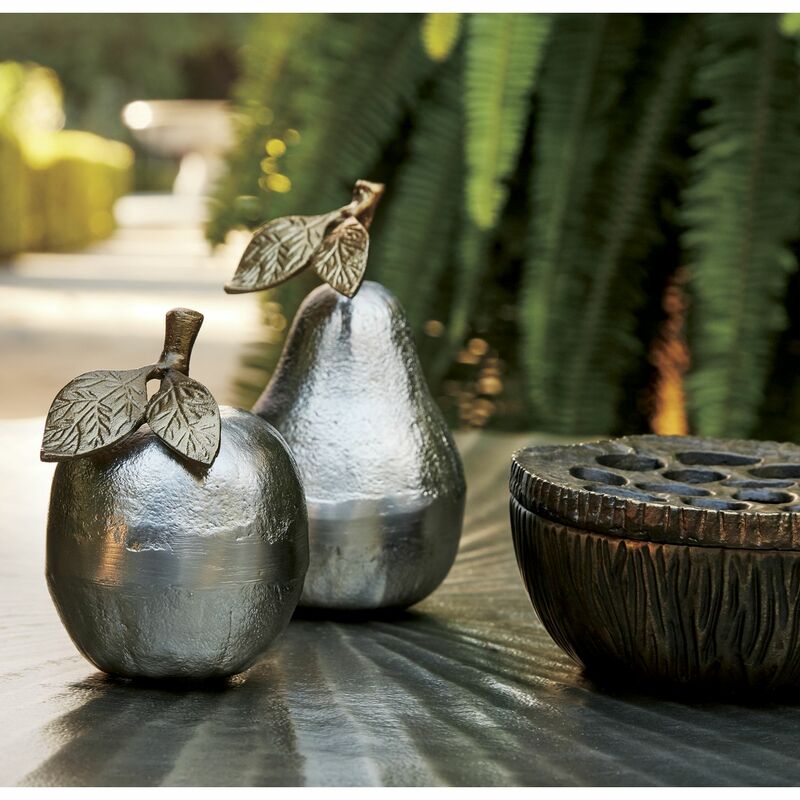 Mundane tasks such as opening a bottle are given new life when fruit is involved. 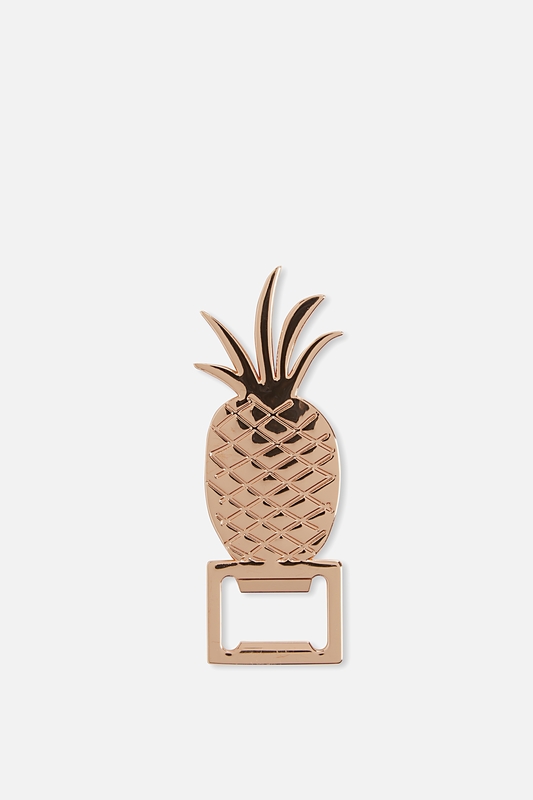 A fruit bottle opener, that is! 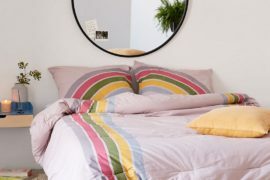 Check out all the details at Typo. 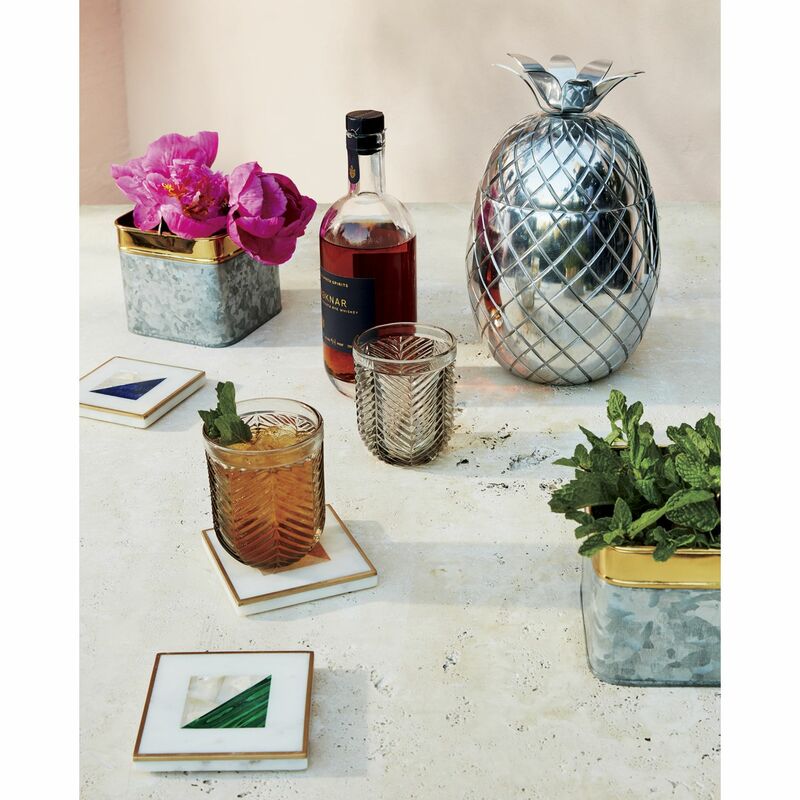 Serve up a big dose of chill pineapple style with this aluminum ice bucket, also from CB2. 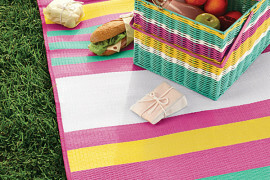 It’s undeniably summer party-perfect. 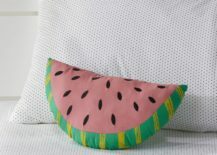 And speaking of parties, scroll down to see what happens when fruit motifs meet festive fetes! 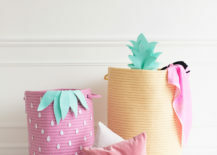 If you love fruit motifs and plan on hosting a party or two this summer, there are plenty of amazing supplies at your disposal. 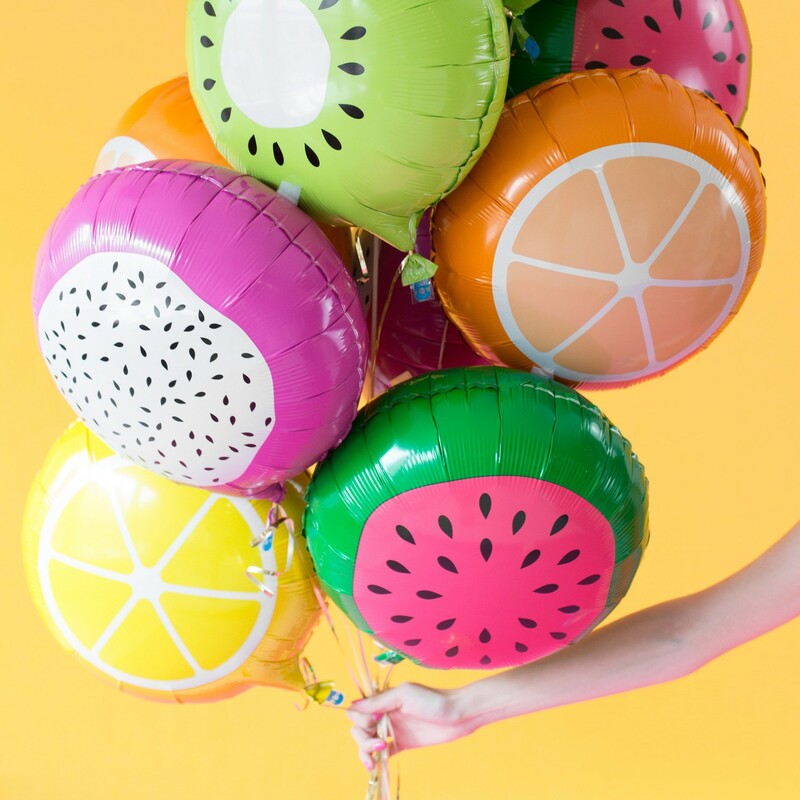 If you’re a fan of balloons, check out this Fruit Combo Pack from the Studio DIY shop. 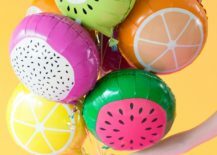 As stated in the product description (and we totally agree, by the way): “…they’re just in time for summer, because every summer shindig should have fruit balloons. 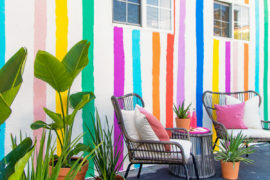 Every single one!” Cheers to that! 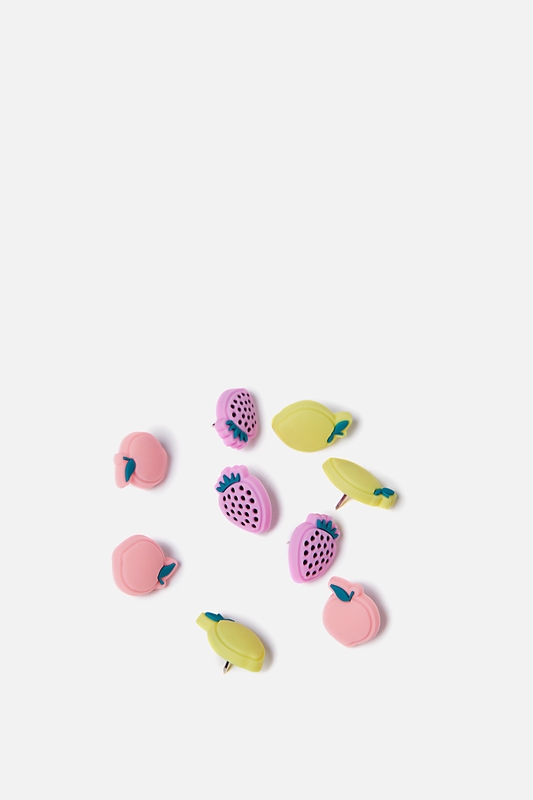 You can purchase the fruit balloons individually as well. 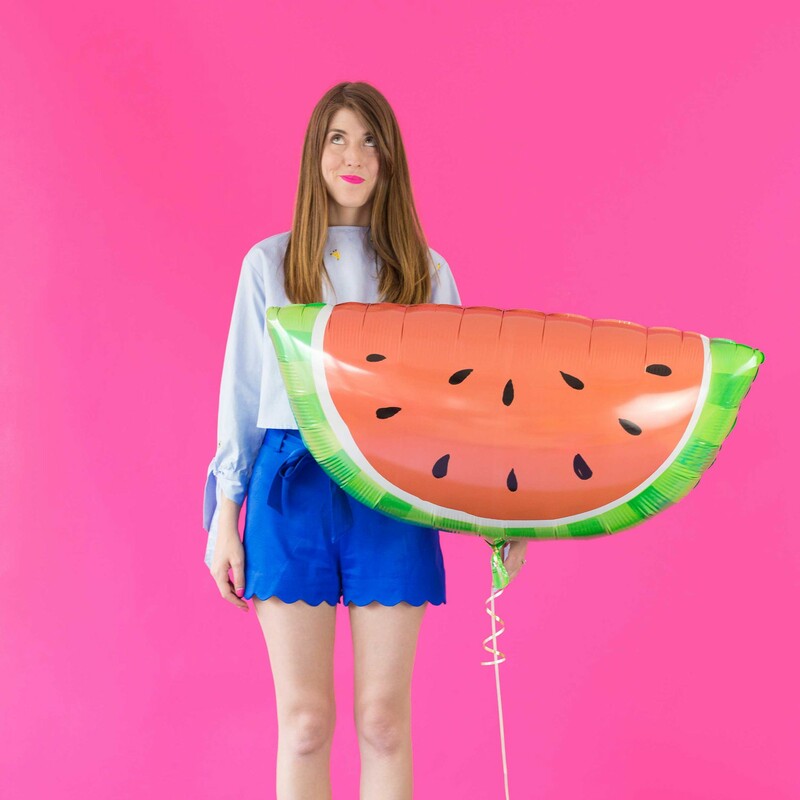 Also from the Studio DIY shop: a pineapple balloon and watermelon balloon (shown below). 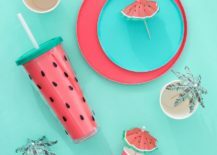 Now who’s ready for a glass of watermelon frosé?! 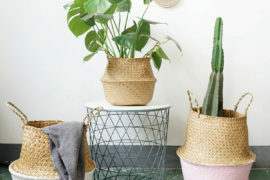 Don’t forget the paper goods! 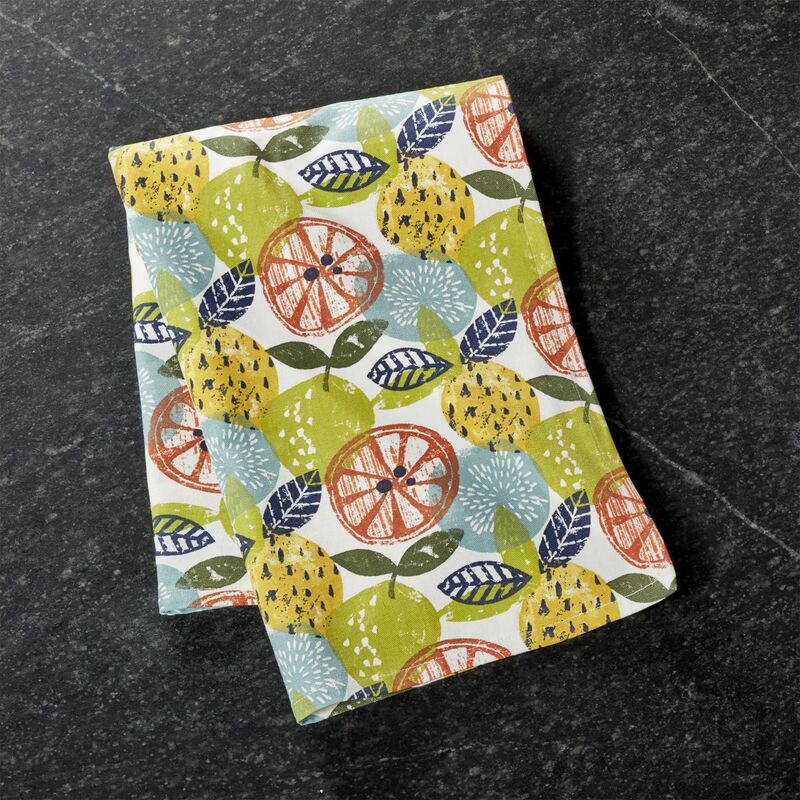 Fruit-fabulous finds like the Lemon Napkins below are available through the Oh Happy Day Shop. 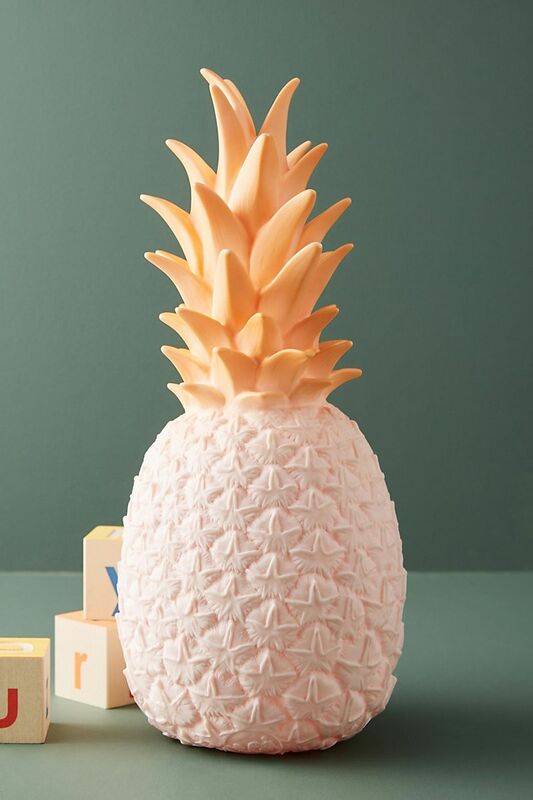 Sunny yellow citrus for the win! 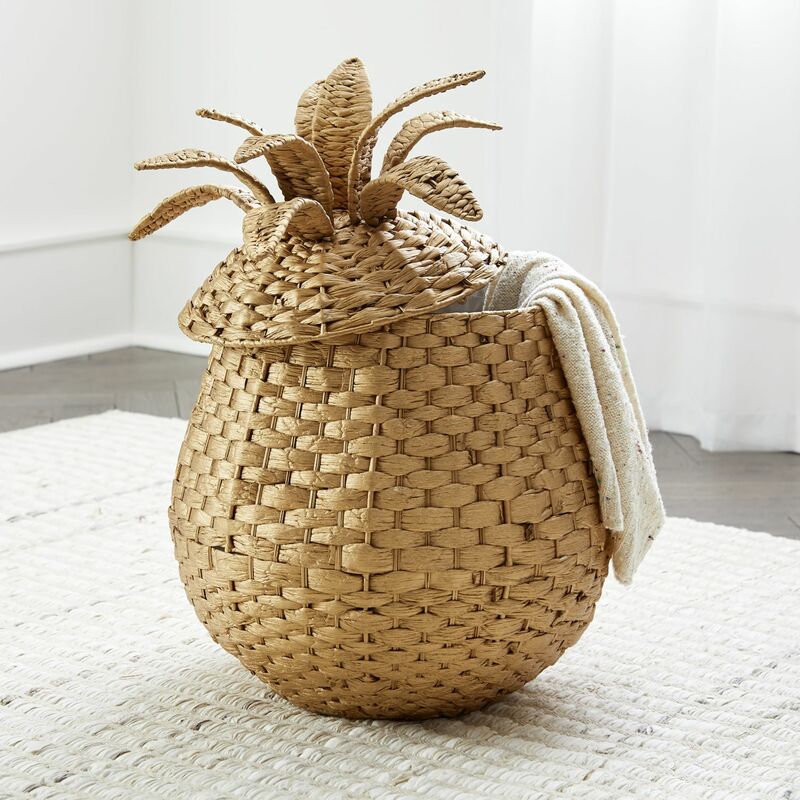 Wishing everyone a refreshing kickoff to summer!